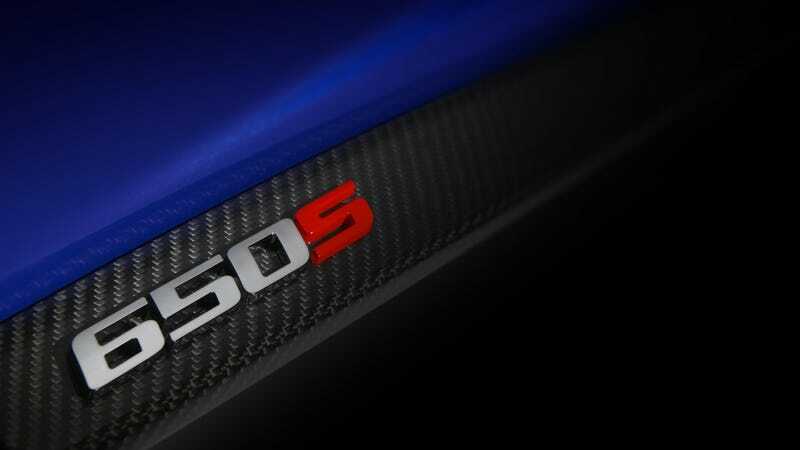 Meet the McLaren 650S. Since the 3.8-liter V8 is tuned to 616 horsepower in the 12C and 727 in the P1, this new McLaren (known as P15 so far) presumably has around 650 horsepower to play with. That's good. I'll go with that thought since McLaren won't say more at the moment. If I'm right, that figure puts it below the Ferrari F12 Berlinetta but as we've seen before from McLaren, weight can be on their side. With the McLaren lineup growing to three models, the next thing we're all waiting for is the 911 Turbo fighter known as the P13. No wonder McLaren needed to expand its Woking factory! As usual, I'll be at the Geneva Motor Show in Hall 1 at 12.00CET (11.00GMT), Tuesday 4 March to witness the miracle.